Schedule from the 2018 show. The schedule is available for download as a PDF. 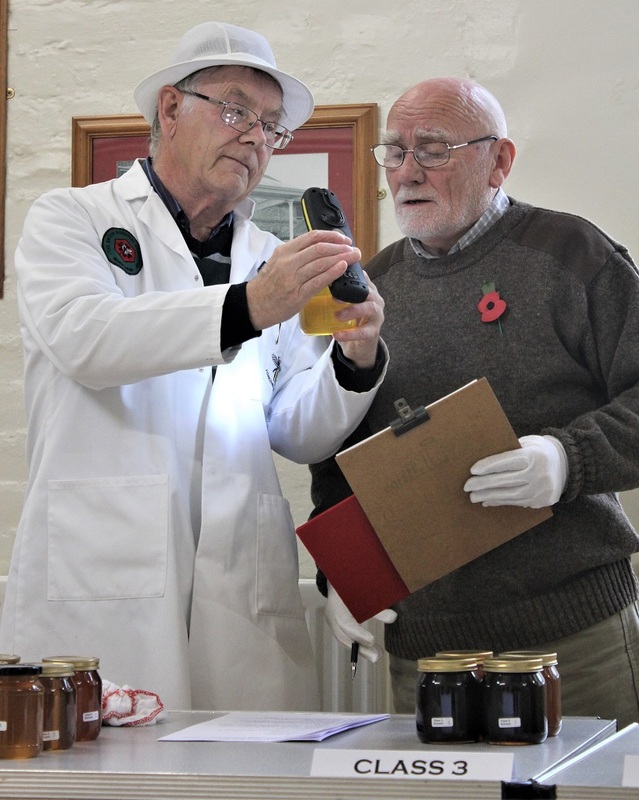 Class 12: Novice class – A single 1lb jar of any honey (open to anyone not having previously won a first prize at a SBKA show). Free entry. 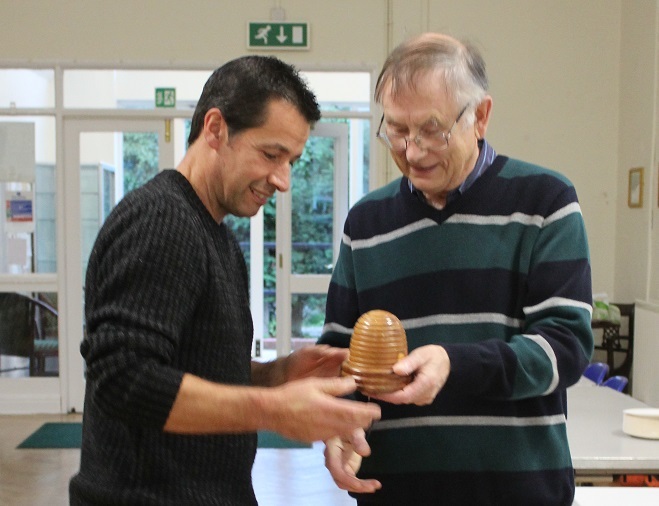 Class 13: Black jar honey – judged by the SBKA Members on taste alone – any honey produced by the member. Please see Rules and Regulation for full details of this class. 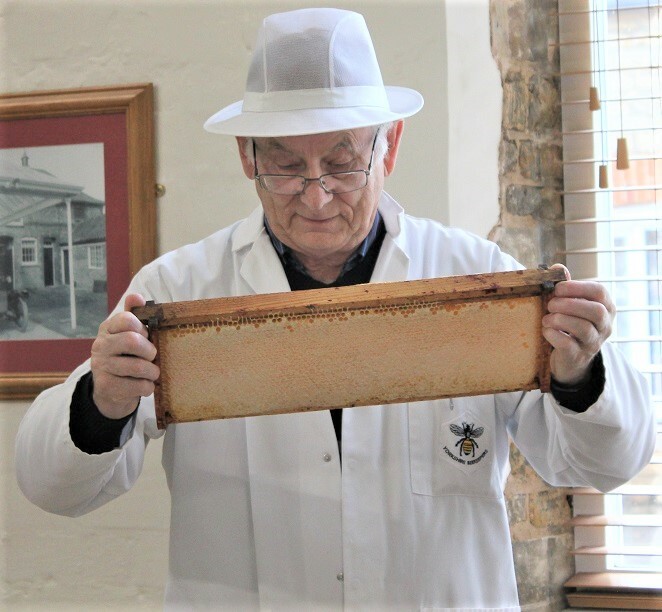 Class 15: A beekeeping invention – a practical device or invention, made by the exhibitor, directly related to beekeeping (No live bees please!). Class 16: A photograph of bees or a beekeeping activity 10×8 inches maximum size - photographs to be unmounted with exhibitors’ number on the reverse. Class 17: A moulded beeswax candle. Class 18: A rolled beeswax candle. Class 19: Honey bee related artwork. Artwork to be exhibitors own work. Can be 2D or 3D and can be wax sculpture (not candles or wax blocks). Class 20: A bottle of Mead (dry or sweet). Class 21: Container of Cut Comb. 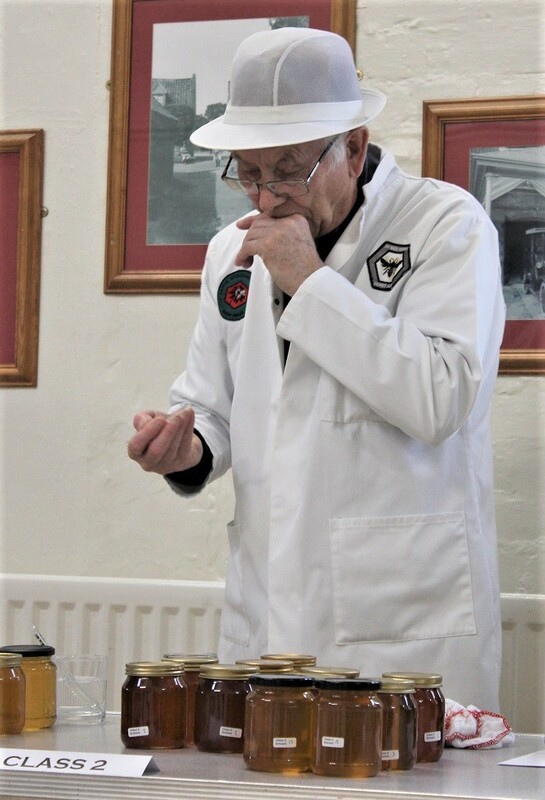 The show is to be run along the guidelines used for other BBKA Honey shows and aims to promote excellence and showmanship in order to improve standards in the production of honey and associated products. For more information and advise see the National Honey Show’s website (http://www.honeyshow.co.uk/guidance-for-exhibitors.php). 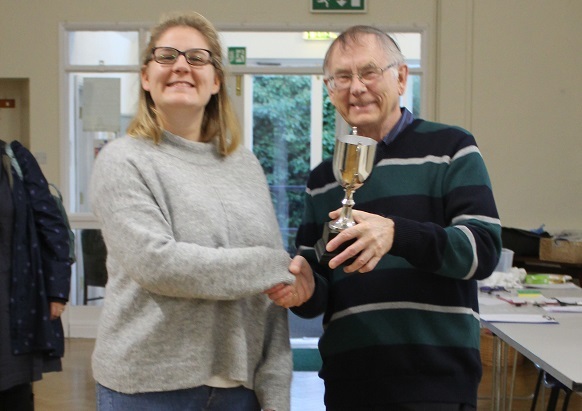 All entries are charged at 50p per entry (entry fees are used to cover show expenses), although there is no charge for the Novice class (12) entry. Entries for Black Jar Honey (13) will be charged separately at the display table. 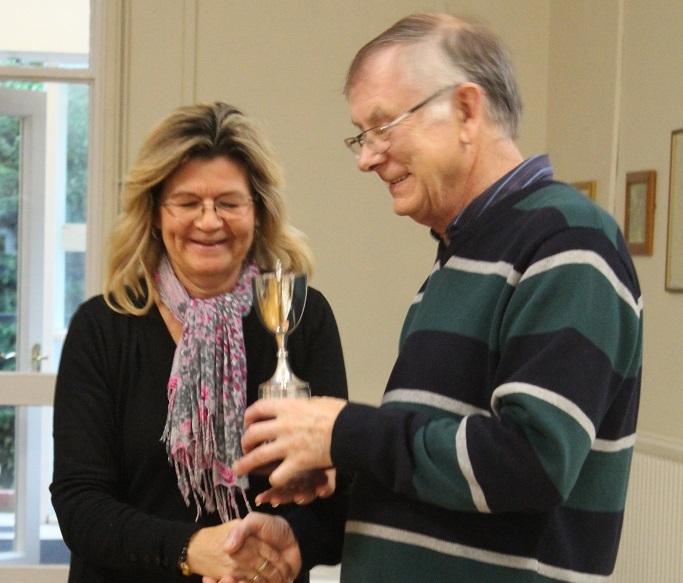 More than one entry is allowed in each class, per person, but only one award can be made to each person in a class. 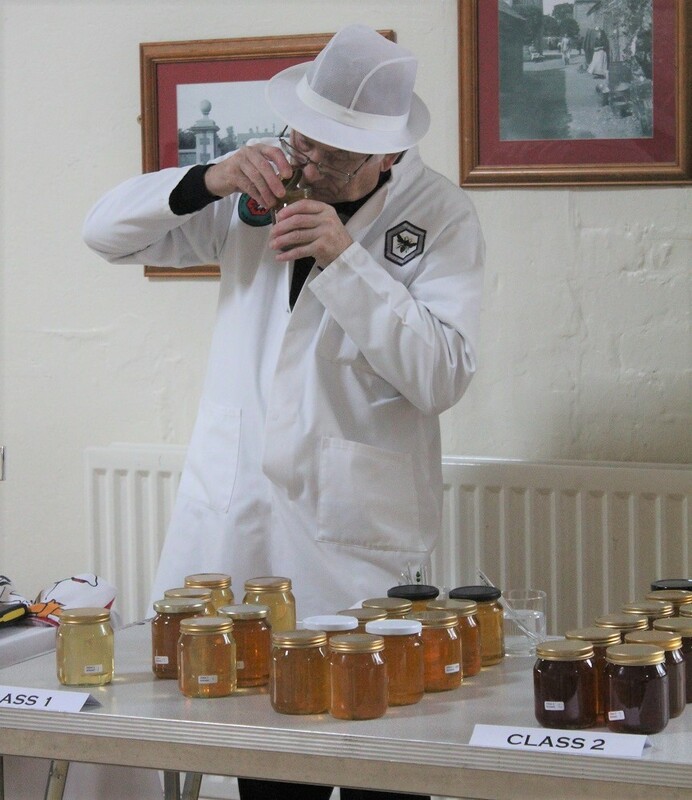 All honey and wax, excluding honey for the cake, curd, chutney and biscuits, must be produced by the exhibitor’s own bees. • on the top right-hand corner of cut comb container. 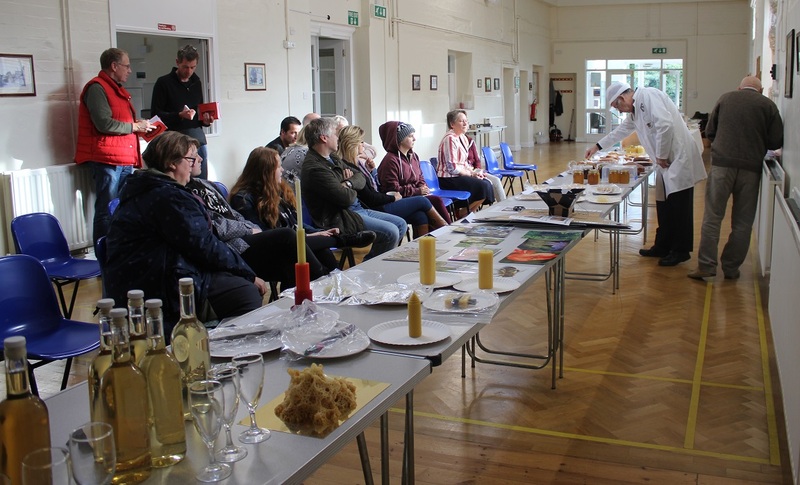 Beeswax, cake and biscuits are to be displayed in plastic bags and on paper plates provided by the show secretary. Labels are to be placed on the plate provided. 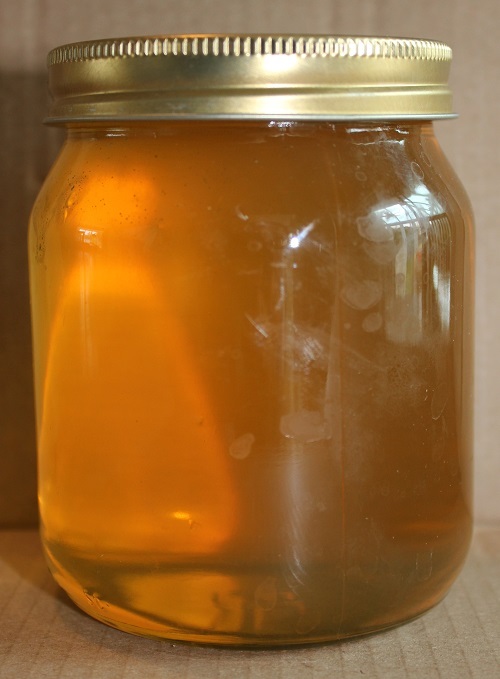 Honey is to be presented in matching 1lb/450g/345ml jars with plastic or metal lids, (Classes 1-5). 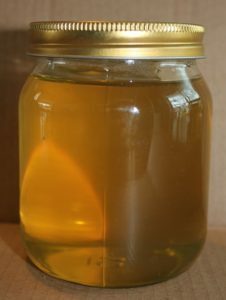 Exhibitors should ensure the jars are filled to the fill line or with no visible gap between honey and lid. Frame of Honey (Class 7) entries are to be displayed in a presentation box. Exhibitors must ensure that classes with weight restrictions (1-6, 12 & 14) are within the range of the weight required. The judge may weight these classes. The cake must be made in the correct container as stated in the recipe. 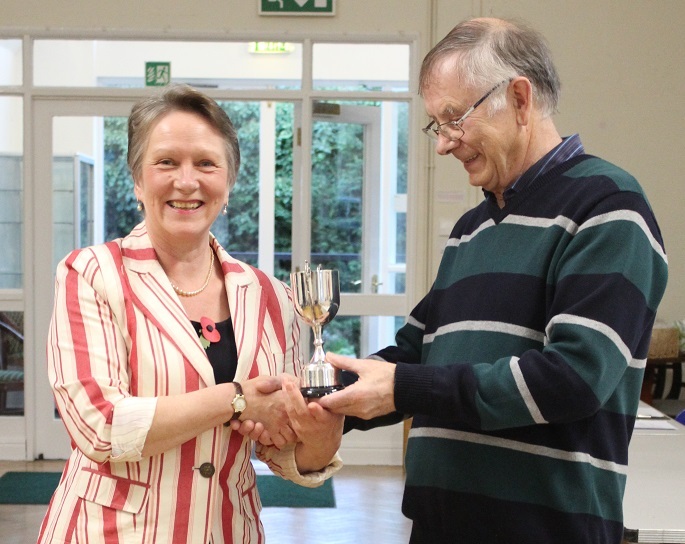 The Novice entry (Class 12) is open to those who have never won a first prize before at a SBKA Annual Show. 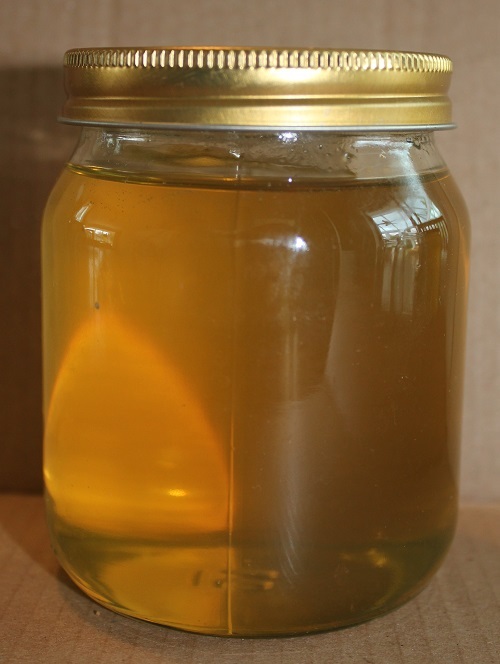 Mead (Class 20) must be shown in clear, round, colourless glass bottles of approximately 750ml capacity. Cork stoppers with white plastic flanges are to be used; they shall not be sealed and must be removable by hand. No fluting or decoration shall be permitted on the bottle. 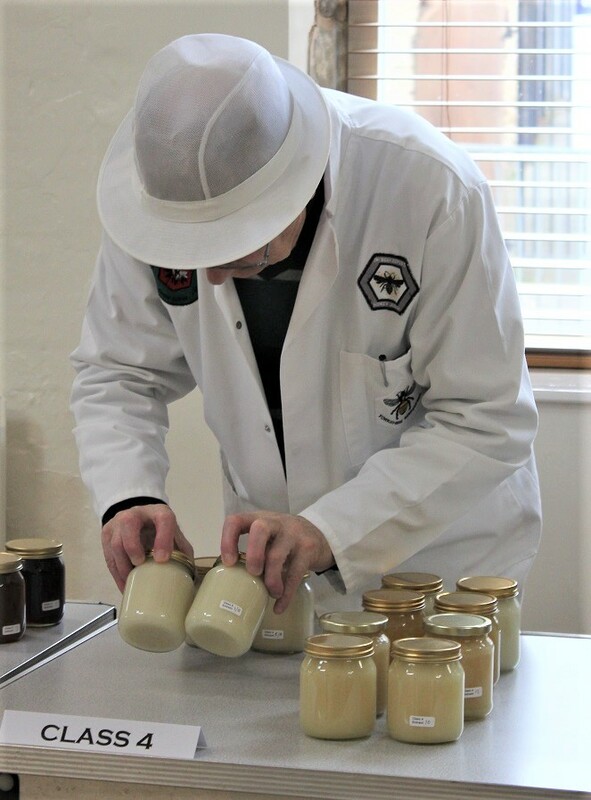 In the Black Jar Honey class (13) a fee of £1 per jar will be charged. All attending members will be encouraged to taste ALL the honeys. 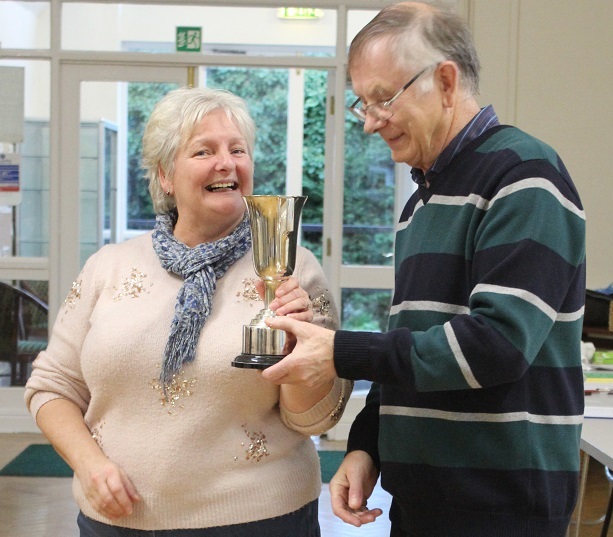 Members will select their favourite honey the post popular winning the Black Jar Trophy and ALL the entry fees for this class. Show points will be awarded in the same manner as other classes. Please enter the show in the spirit intended - may all your efforts bee rewarded. There will be no points awarded for best exhibit in show. 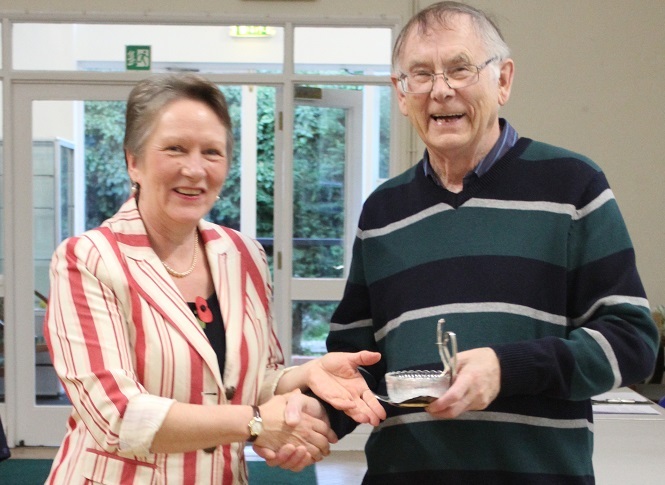 This year the Honey Cake recipe has been provided by Simon Croson. 1. Preheat oven to 180C/350F/Gas 3 and butter and line the bottom of a 7in/18cm cake tin. 2. Measure the honey, butter and sugar into a large pan. Add a tablespoon of water and heat gently until melted. 3. Remove from the heat and mix in the eggs and flour. 4. Spoon into the cake tin and bake for 40-45 minutes until the cake is springy to the touch and shrinking slightly from the sides of the tin. 5. Cool slightly in the tin before turning out onto a wire rack. 6. While the cake is still warm, make the icing by mixing the sugar and honey together with 2-3 teaspoons of hot water. Trickle over the cake in whatever design takes your fancy. 2. Stir until the sugar has dissolved and continue heating gently without boiling for about 20 minutes or until the curd is thick enough to coat the back of a wooden spoon. 2. Put all the ingredients in a preserving pan or large, heavy- based saucepan. Heat gently, stirring, until the sugar has dissolved. Bring to the boil and boil steadily for about 50 minutes or until reduced by half. Stir occasionally until caramelised.